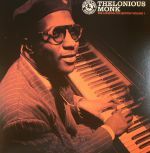 Review: It's exceedingly rare to stumble across any unreleased recordings by jazz greats such as Thelonious Monk, let alone find them in the trash. 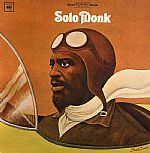 Yet, somewhat remarkably, that's the story behind "Monk", a 1963 recording of the pianist in full flow - accompanied by his "all-star" line-up of Charlie Rouse (saxophone), John Ore (double bass) and Frankie Dunlop (drums) - that mysteriously resurfaced in a Scandinavian skip last year. This CD edition presents a fully remastered version of that rare recording - captured on tape at a live show in Copenhagen - for the very first time. 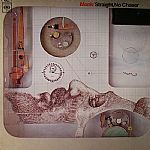 It's a wonderful listen, with Monk and company darting between original compositions and altered jazz standards in typical be-bop style. 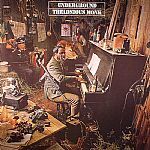 Review: It's exceedingly rare to stumble across any unreleased recordings by jazz greats such as Thelonious Monk, let alone find them in the trash. Yet, somewhat remarkably, that's the story behind "Monk", a 1963 recording of the pianist in full flow - accompanied by his "all-star" line-up of Charlie Rouse (saxophone), John Ore (double bass) and Frankie Dunlop (drums) - that mysteriously resurfaced in a Scandinavian skip last year. This album presents a fully remastered version of that rare recording - captured on tape at a live show in Copenhagen - for the very first time. 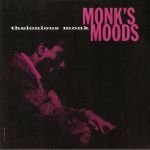 It's a wonderful listen, with Monk and company darting between original compositions and altered jazz standards in typical be-bop style.